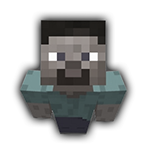 Rosleen - Viewing Profile: Posts - SixtyGig - The Minecraft server for mature gamers. We've had some good times =) I can't imagine we wont still keep in touch. In Topic: New member application.